We currently have a special offer available, to help you start getting your health back on track. 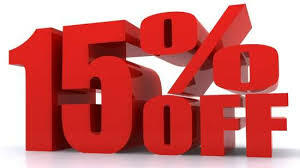 Until the 24th of April, we are offering 15% off an Initial Consultation on Tuesday and Thursday afternoons only. This will include a comprehensive history, orthopedic examination, neurological examination and postural assessment where either X-Rays will be taken or a treatment delivered. Please quote ‘websitespring15‘ to take advantage of this.